Paul Simon wrote this song one day while sitting watching a little league baseball game. After he settled into his bleacher seat, the view hit him; it was that of a large crucifix towering in Center Field. The pictures you see above are not from a Stephen King movie or an H.P. Lovecraft (who happened to be from Providence) novel. They are definitely not from the Goth Section of the Comic-Con Convention, or the under-bridge “artworks” of the kids from RISD (Rhode Island School of Design; often called RIS-D). 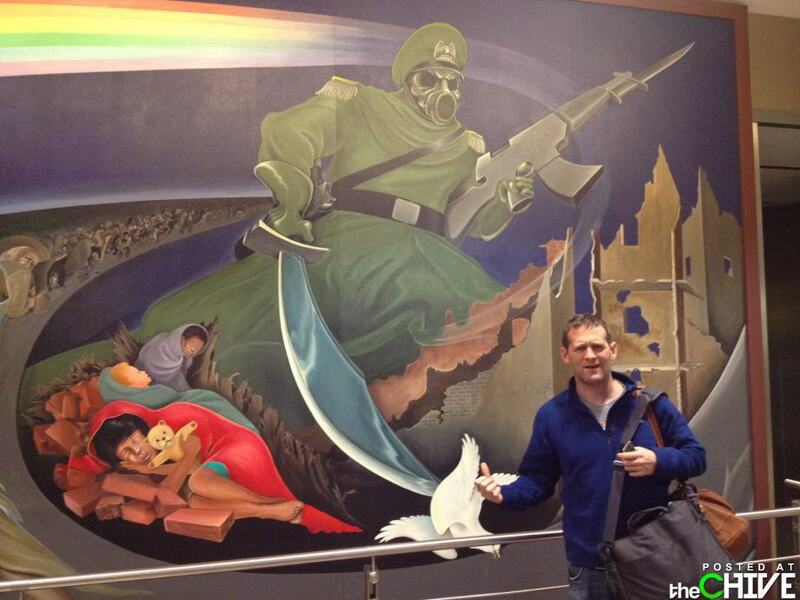 No, they are murals painted on the walls of the Denver International Airport. Look Closer; a Nazi carrying an AK-47 and using a sword to slash a dove; the bird of peace. 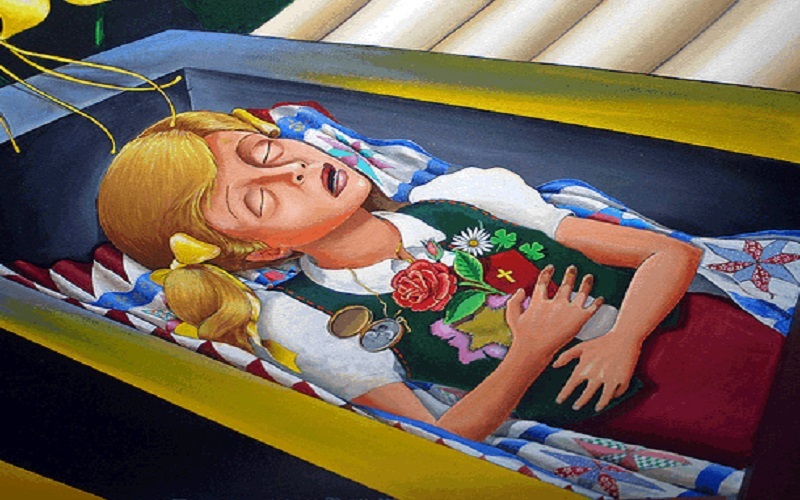 The second one is a young girl laying in a coffin. “WHAT THE ……….!!!!! So there I was; 20 minutes before I sat down to write this blog. A blog that I was fully prepared to write about milk expiration dates seeming to last a lot longer than I remembered (don’t worry, I could have pulled that off; complete with humor, observation, and detail). I was completely “behaving myself” in a literary sort of way. As I took a quick break to have some dinner, I sat in front of the TV and was paging through Netflix. OK, OK, you got me, I came across a conspiracy show detailing “The New World Order.” Yea, I watched it. I fully expected to hear about the Masons, the Rockefellers, the Rothschilds, the Founding Fathers, and the Bushes. They were all there. What I wasn’t expecting to see or learn about was the Denver International Airport. I have been to this airport a few times, and I was only surprised by the still allowed public smoking areas (since removed), and the number of tornado shelters. I never saw any of this. I may have still been pre-occupied by the realization of the term “high plains” to describe Denver. The Mile-High City is atop the high plains; not teetering on a precipice of the Continental Divide; The Rocky Mountains. One thing at a time! I’d like to go back to Denver. https://zuludelta45.net/2013/11/08/please-come-to-denver/ I initially had ideas to go to the DAM (Denver Art Museum) and Red Rocks; the outdoor music amphitheater, not to mention, ride the new shuttle train between the airport and the revamped and historic Union station. Now, I think I’ll just wander around the airport looking for the Cross in the ballpark. 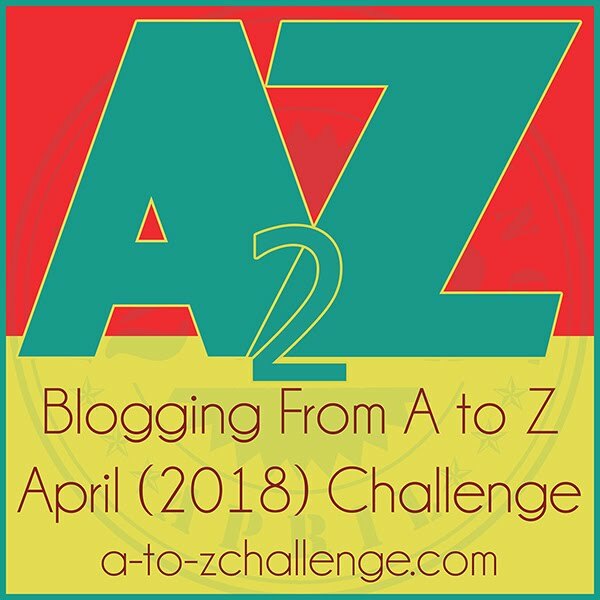 Zulu Delta Note. As I have only found out about this information tonight, I have yet to confirm if the controversial murals are STILL there. 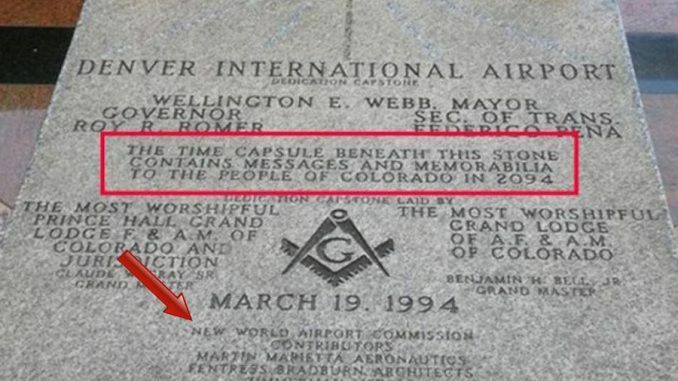 They were there when the Airport opened, and all you have to do is Google Denver International Airport and you will find all the crazy information you want. I will have to do a little research……all help and comments are welcomed.